CHIPS would like to extend an absolutely massive thank you to the Senior Section of the Hertfordshire Golf Club for getting our fundraising off to an absolutely bumper start this year! 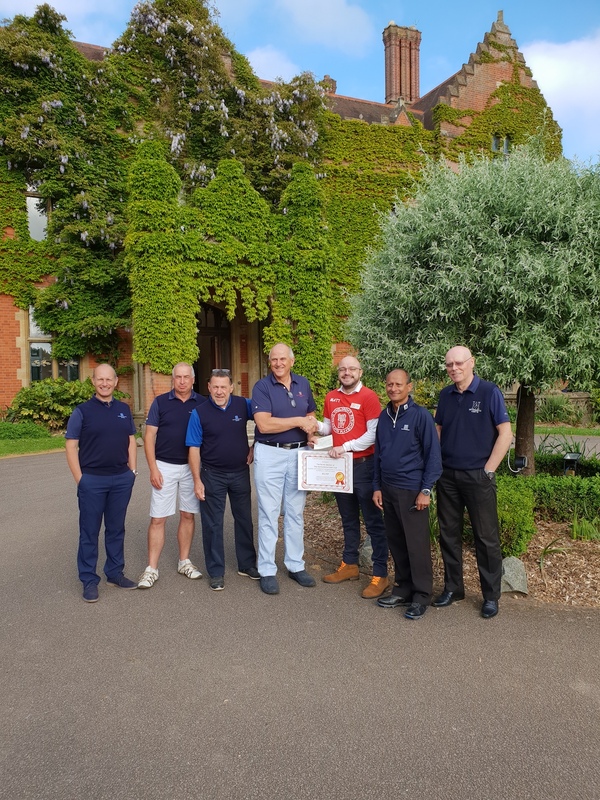 Captain Kevin Robinson, CHIPS friend Martin Sibthorp, chief auctioneer and leader on the day, Ty Pereira, and a wonderful team, all led a golf day which raised an absolutely incredible £5,202 for CHIPS! The team ran a special golf day in April, in some unseasonal blazing sunshine, and we’re glad to hear all had a fantastic day! Our thanks go to everyone who took part in the golf day, and a special thank you to all those who donated items to the fantastic auction, including Crown Golf, who very kindly donated two memberships! CHIPS’ Matt Cooper receiving a cheque. From left to right Andrew Stapleton, Graham Thorogood, Martin Sibthorp, Kevin Robinson, CHIPS Matt, Ty Pereira, Roger Bearne.